One of the most notable aspects of the rise of Slack as a the business communications tool of the moment has been the success they’ve had encouraging third parties of all sizes to develop innovative apps and custom integrations for the platform. Spoonfeed, don’t firehose. Deliver knowledge and information when your team needs it — not all at once. 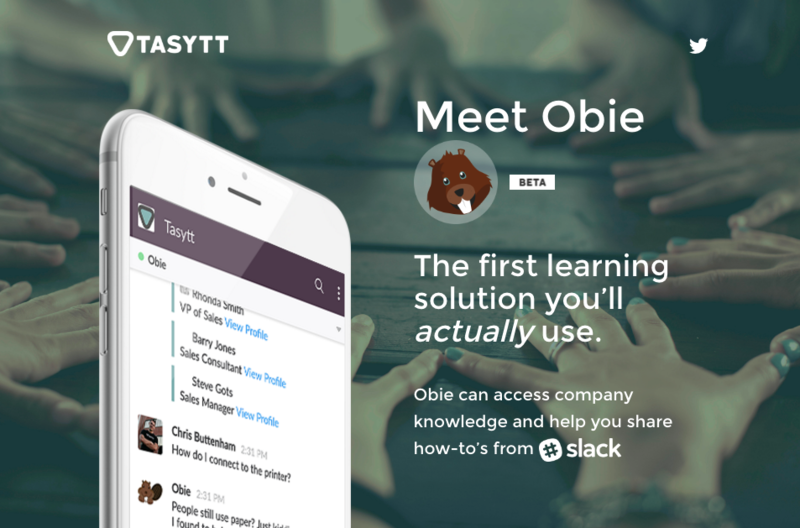 Obie delivers content to the platforms you spend your day on. Information conveyed in an existing workspace is relatable, engaging and more effective. Obie offers a familiar, conversational user-experience you’ll actually enjoy. He can answer questions and send bite-sized knowledge to the team. Obie is a quick-study — the more you use him, the more he delivers relevant and accurate content. Certainly looks interesting, doesn’t it. Innovative too. There are new apps live Obie being released daily, and they’re very easy for even non-technical users to deploy and activate. Whatever one feels about Slack’s features/UX and the impact it has on personal productivity (and there’s certainly a hefty degree of Slacklash being felt right now across both traditional and social media) it is clear that Slack has powered past more established brands and products in terms of developer adoption. I would love to see the more established vendors in the space take a similarly open approach – start with the APIs and build the product, rather than considering the APIs as an afterthought. Also, treating developers as an open, welcoming and transparent community, versus requiring registration, paid licenses/subscriptions and the like. Can't help wondering where they'd be if they'd stuck with 'Linefeed' as their product name? !